AGADA Biosciences collaborated with SpinCo Halifax to raise funds for Muscular Dystrophy Canada through SpinCo’s “Spin it Forward” program. All proceeds from the Monday evening “Spin-it-Forward” classes for the month of March were donated to the society. 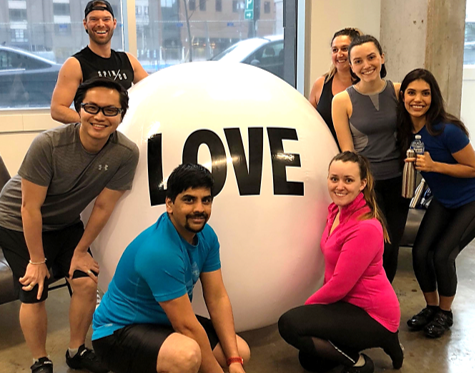 A special “Ride for MD” was organized on March 28th in honor of muscular dystrophy patients and parents in the community and to help raise awareness for neuromuscular disorders. AGADA’s co-founder, Dr. Eric Hoffman shared some of the latest advances in muscular dystrophy research and John Britton, Director of Strategic Initiatives for the Atlantic division of Muscular Dystrophy Canada , spoke briefly about how the donated funds can make a difference in the lives of patients living with muscular dystrophy in our community.